What happens when the never-ending battle for truth and justice ends? Marc Guggenheim (Amazing Spider-Man, Resurrection) answers this question and more in HALCYON — titled Utopian when announced during Comic-Con International and in the September PREVIEWS — a new series from Image Comics. A seasoned comic book writer, Guggenheim has also worked on high-profile projects such as the upcoming Green Lantern movie and No Ordinary Family, a new ABC series that stars Michael Chiklis. Created in collaboration with Tara Butters (TV’s Reaper), artist Ryan Bodenheim (RED MASS FOR MARS), and Collider Entertainment’s Alisa Tager (Serenity), the revolutionary first issue of HALCYON will be in stores this November. 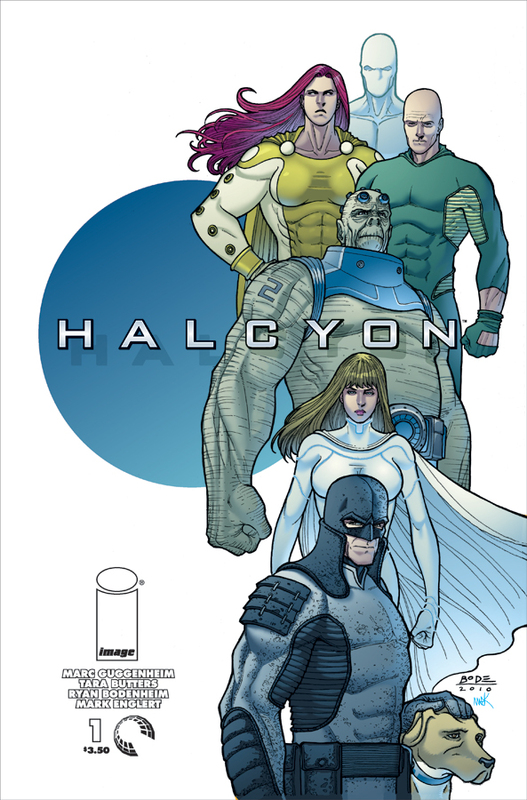 From Image Comics and Collider Entertainment comes the next quantum leap forward in superheroes: HALCYON. The groundbreaking new series dares to ask: What happens when the superheroes win? What happens once there is no crime, no war? 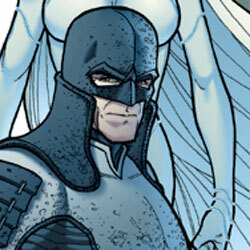 The heroes of HALCYON achieve their final victory only to face their greatest challenge ever. HALCYON #1 (SEPT100433), a full-color 32-page comic book for $2.99, will be in stores November 10, 2010. Looks interesting… Cant say much more than that. Is the red head a man or woman? I thought man until I saw the breasts.